Elle Condos for sale in Mississauga | 3525 Kariya Dr.
Elle condos, the third Amacon tower completed in 2010, is conveniently located at Kariya Drive in Mississauga. The Elle condominium is a stunning 31-storey glass tower, rising gracefully from a distinctive three storey podium. Elle's spacious and elegantly appointed condo suites come with stunning features. In addition to 9-ft ceiling and floor-to-ceiling windows, Elle Condo suites are upgraded with wooden flooring in the living/dining area, granite counter tops in the kitchen, and a balcony. Penthouses and Garden ground floor level condo suites come with 10-foot ceilings. Most suites have an open concept living and dining area combined with kitchen. Kitchens come with granite counter tops. South and East facing condos get beautiful views of the Lake Ontario and the Toronto skyline. West facing condos get Downtown Mississauga City Centre views. Penthouses and condos on the ground floor feature soaring 10-foot ceilings. Elle Condos is a modern and luxury condo building providing great amenities for its residentsincluding: a grand party room, media room, games room, indoor pool, hot tub, sauna, exercise room, library lounge, guest suites, BBQ patio, rooftop terrace, outdoor recreation and car wash bay. 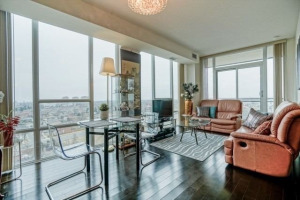 There are quite a few furnished condo rental condo suites at Elle condos. Eden Condos and Eve Condos are the adjoining condo towers with Elle Condos at 3525 Kariya Dr.. 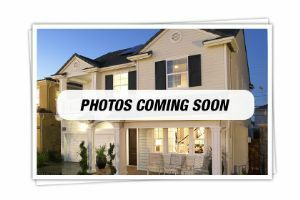 Edge condos is a builder new condo development coming up in the vicinity of 3525 Kariya Drive Condos. Another great developments from Amacon builder is Parkside Village Condos. Team Kalia has helped many residents with buying, selling or renting their homes and condos in Mississauga's Square One area since 2003. Call us if you are thinking of buying, selling, investing or renting an Elle Condo in the Square One area. Team Kalia is sure to bring you great value. Local Experience always Pays!